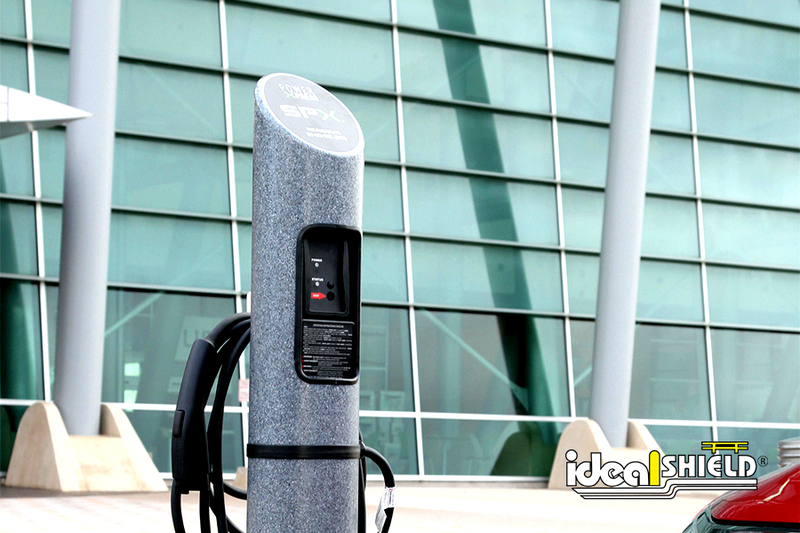 Ideal Shield’s Plastic Parking Block utilizes the newest technology in the plastics industry and has used it to create our lightweight parking block. Our parking block is made of an injection molded polypropylene skin filled with expanded polypropylene beads. The result is a 6 lb parking stop that is easy for one person to install, but durable enough to withstand extreme temperatures and everyday wear and tear. 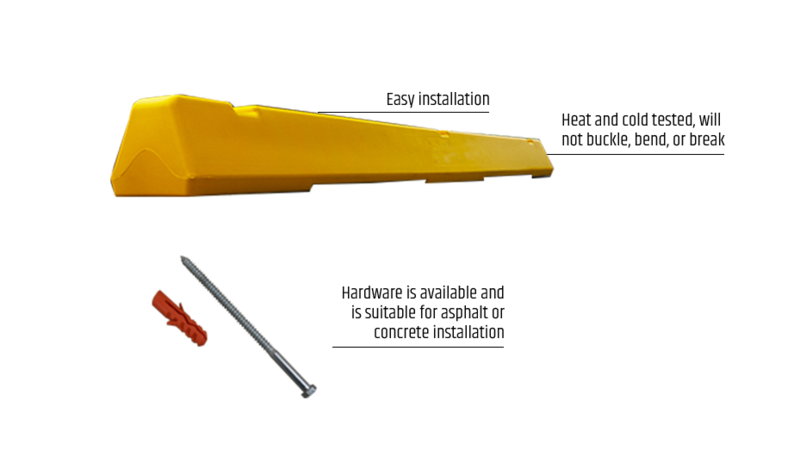 Because of the lightweight design, it can ship in a box individually or a truckload. Your parking lot is the face of your establishment. Make sure it welcomes your guests instead of crumbling down around them! 72" X 6" X 5.25"
Lightweight, yet durable design – weighs only 6 lbs. compared to a concrete parking block weighing 245 lbs. Heat and cold tested – will not buckle or break! What colors do your parking blocks come in? 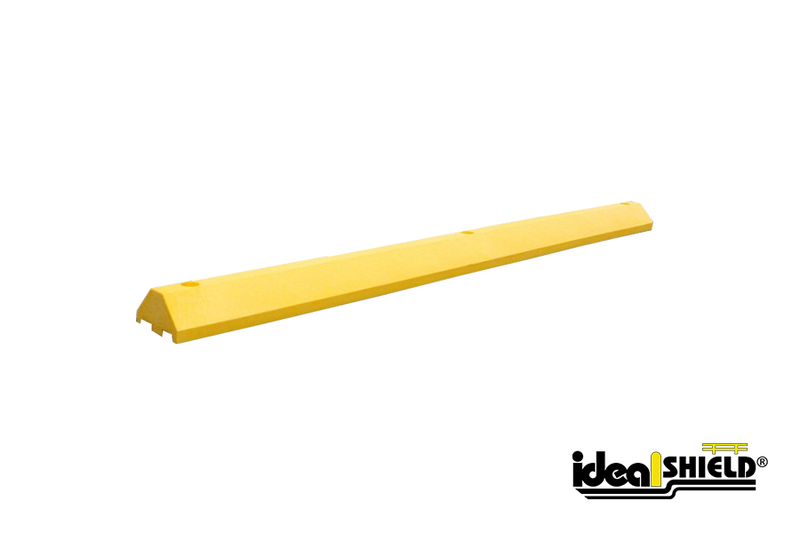 Our standard colors for Ideal Shield parking blocks are yellow, gray, and blue. Custom colors are available for an additional cost. Yes, standard nameplates for Ideal Shield’s parking stops include “Handicap” accessible signs , “Visitor” signs and “Reserved” signs. Custom nameplates are available for an additional cost. No, installation hardware is not included; however, installation hardware is available for purchase for either asphalt or concrete applications.